A Fund for Women was established in 1993 through the vision of Madison Community Foundation leaders. 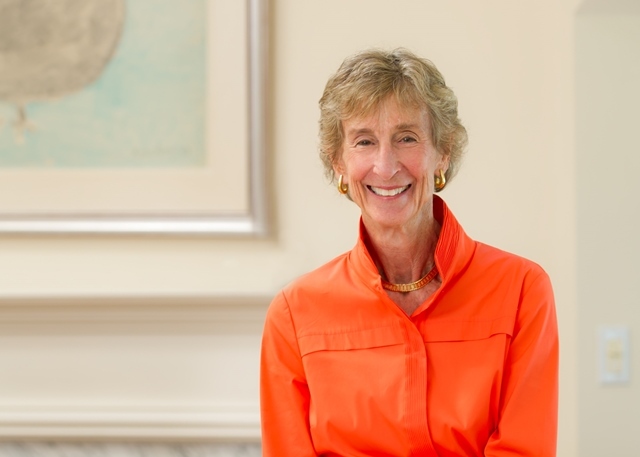 Jane Coleman says A Fund for Women is "an amazing opportunity" for women to identify themselves as philanthropists. At the time, they were concerned that mainstream charities and foundations were falling short when it came to giving to programs that benefited women and girls. As a result, MCF executive director Jane Coleman called on a group of original donors who raised $100,000 to start an endowment fund that would be permanent and flexible. Thanks to their generosity, A Fund for Women donors have created a forever resource to strengthen the lives of women and girls in Dane County. Throughout its history, A Fund for Women has supported nonprofit organizations to improve educational and employment opportunities for women and girls, and to enhance their self-esteem. Our grants have ranged from supporting self-defense classes for elderly victims of domestic abuse to expanding computer programs for adolescent girls at Madison middle schools. A Fund for Women supported an innovative pilot program for permanent housing for homeless mothers, and has forged alliances with many organizations, from the Madison Metropolitan School District to the YWCA, The Business Forum to Centro Hispano. In its most recent history, A Fund for Women has supported programs that reduce barriers to independence faced by teenage girls and young women as they transition to becoming self-sufficient and independent. In 2016, A Fund for Women refocused its grantmaking as part of a community-based initiative called Earn-Save-Invest. Because investing in women is a proven solution to achieving economic security for women and families, A Fund for Women awarded grants supporting efforts to reduce poverty and increase opportunities for education and family-sustaining jobs.